Midnyte Reader: Childhood Thrills - October 2011. Childhood Thrills - October 2011. Childhood Thrills is a feature that recalls books I read in my childhood or adolescence that were special to me or "haunt" me in some way. I don't intend to re-read & review them, just simply share my memories and the feelings they evoke. Little Witch by Anna Elizabeth Bennett. A little girl lived in a witch's house. 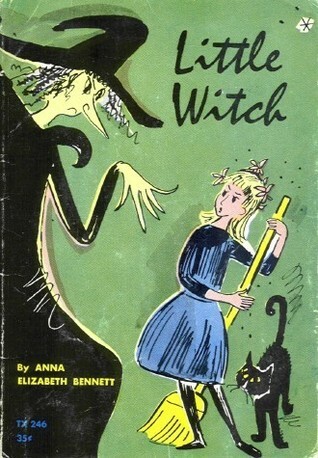 The little girl fantasized that the witch wasn't her real mother. Somehow the little girl sees a pretty woman in her mirror and when she tells the woman she loves her, a spell is broken, the woman *is* her real mother. I searched on Amazon, on Google, I researched and read any description I could find on children's books about witches. No dice. Then I came across a site called Loganberry Books: Stump the Bookseller. They have an amazing database for figuring these things out. I did a search, but my criteria was so limited and vague, it wasn't helpful. It nagged at me. I printed out the form, tried to articulate what I remembered and sent my check in. I checked the site a few weeks later and voila! Now I had a title and an author! I searched Amazon and read the synopsis and more of the story came flooding back. I can't tell you how happy I am that I finally know what the book is that has been plaguing me to remember it for all these years. Don't you love that? I feel like growing up before the big internet craze, I read (or listened to) many books that I have the most difficult time finding these days. It is THE best feeling when you stumble upon them again. I'll have to see if my library has this one! Ha! The same thing recently happened to me too. 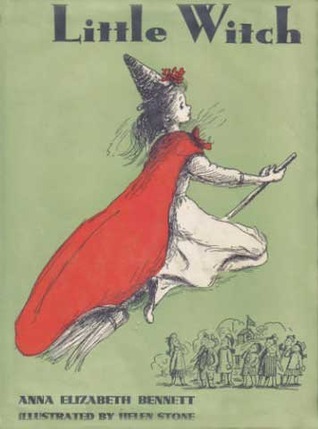 I couldn't recall the name of a beloved childrens book but after a google search with the vague terms I remembered, I found the title and ordered myself a copy. Those Little Witch covers are adorable! How charming! And I love the covers. 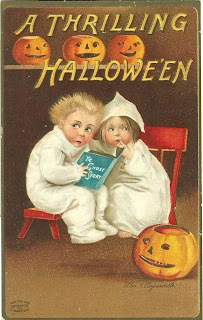 Would love to read this book as part of my "scary books for Halloween" unofficial challenge haha. November Eve (Guest post from Bookish Ardour). What I got in the Spooky Swap! The Name of the Star. Vampire and coffin jewelry set. Jonathan Kruk: Hudson Vally Legends! A few contest winner announcements! Author Interview with Rob Blackwell. Giveaway from My Bookish Ways!